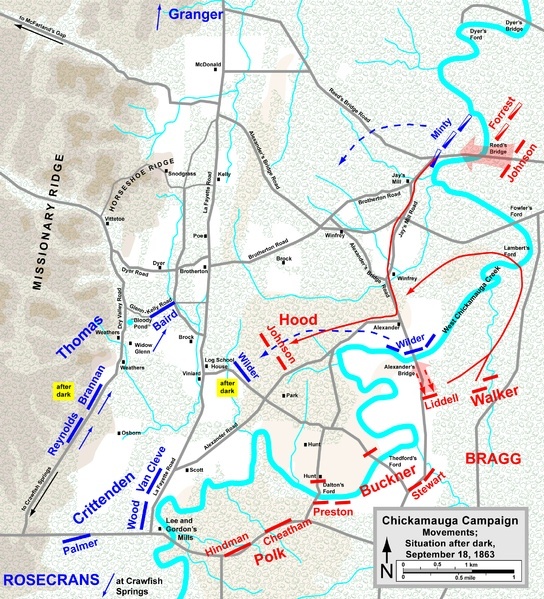 Initial Union and Confederate army movements in the Chickamauga Campaign, August 15 – September 8, 1863. 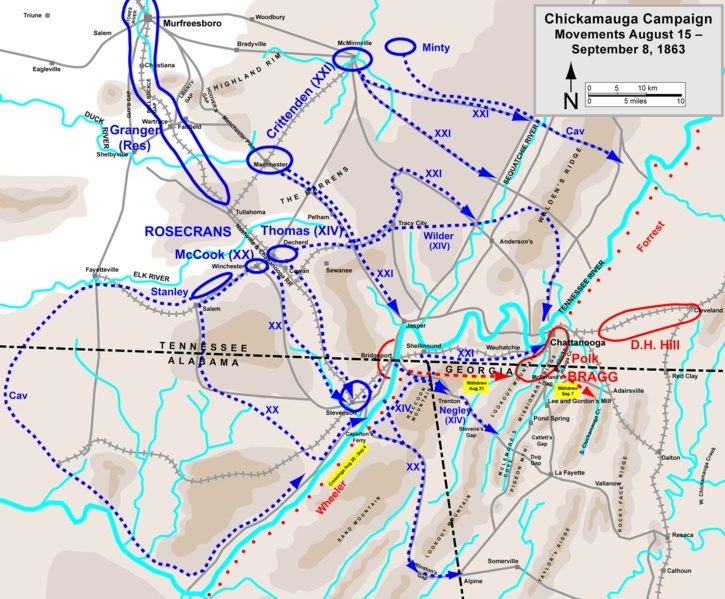 Battle of Chickamauga: Davis's Cross Roads, September 11, 1863. 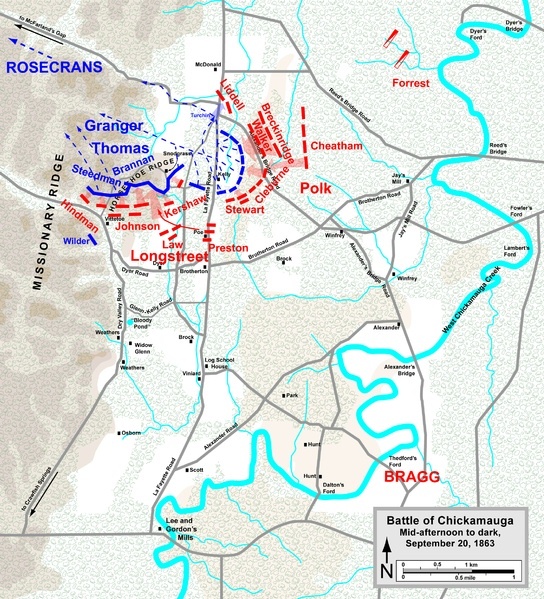 Union and Confederate battlefield movements at Chickamauga on the eve of September 18, 1863. 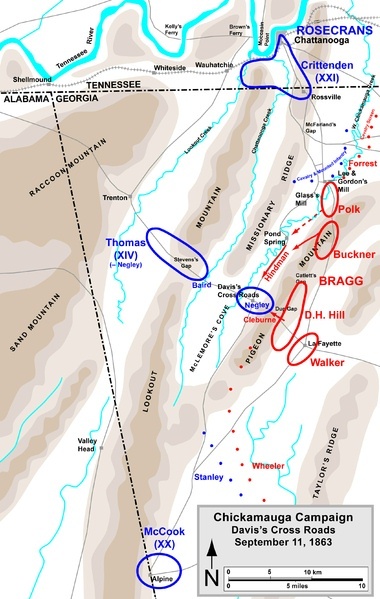 Union and Confederate troop actions on the morning of September 19, 1863. 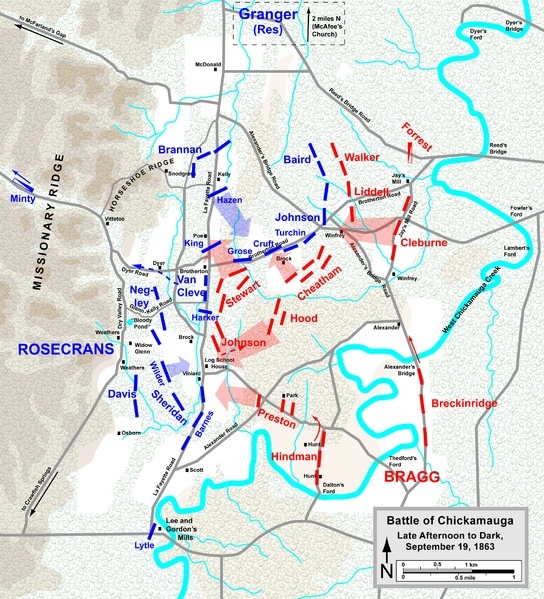 Union and Confederate armies in action on the early afternoon of September 19, 1863. 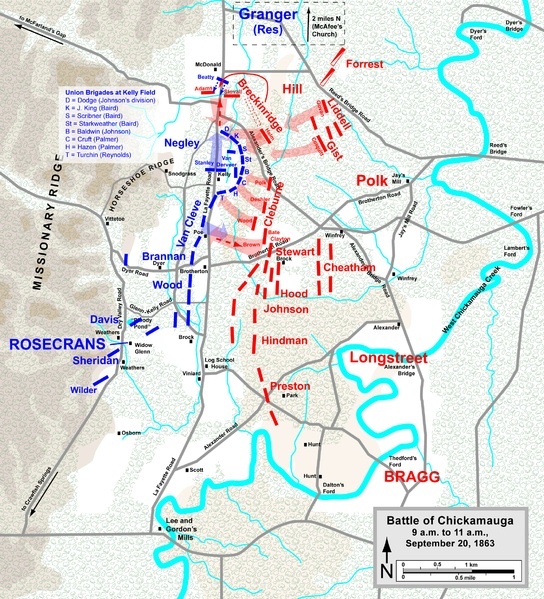 Union and Confederate army movements, late afternoon to dark, September 19, 1863. 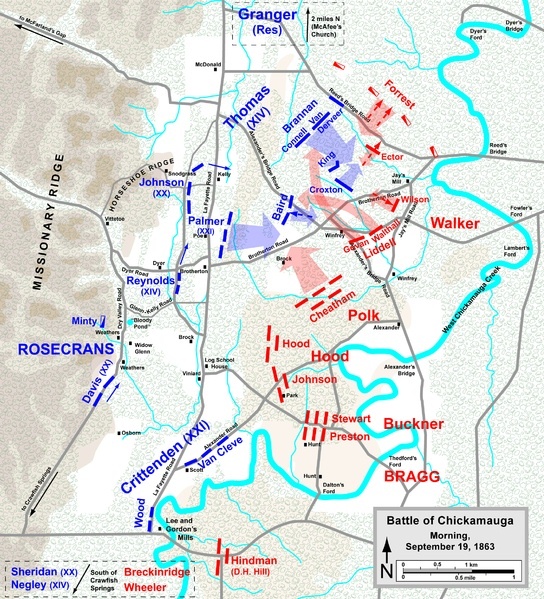 General Polk's Right Wing assaults on the morning of September 20, 1863. 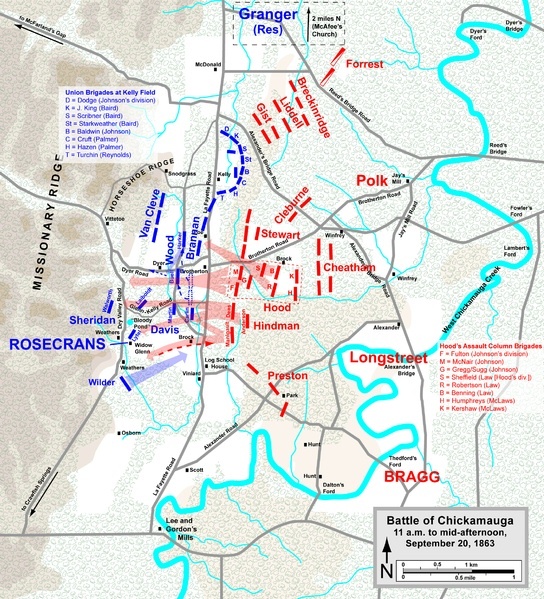 General Longstreet's Left Wing assaults, mid-day, September 20, 1863. 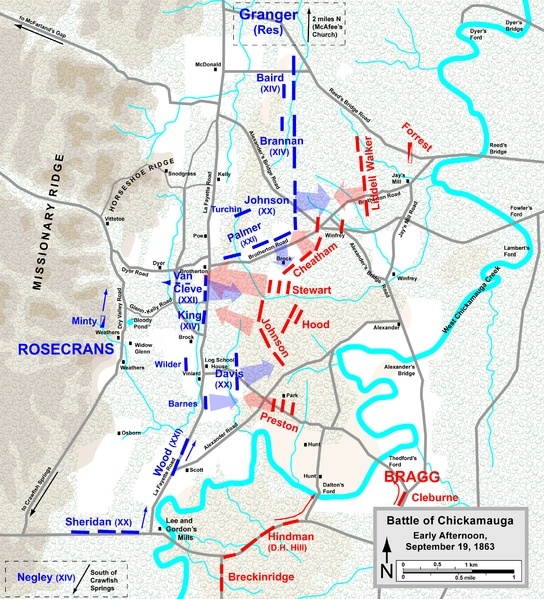 Defense of Horseshoe Ridge and Union Army retreat, afternoon and evening of September 20, 1863. 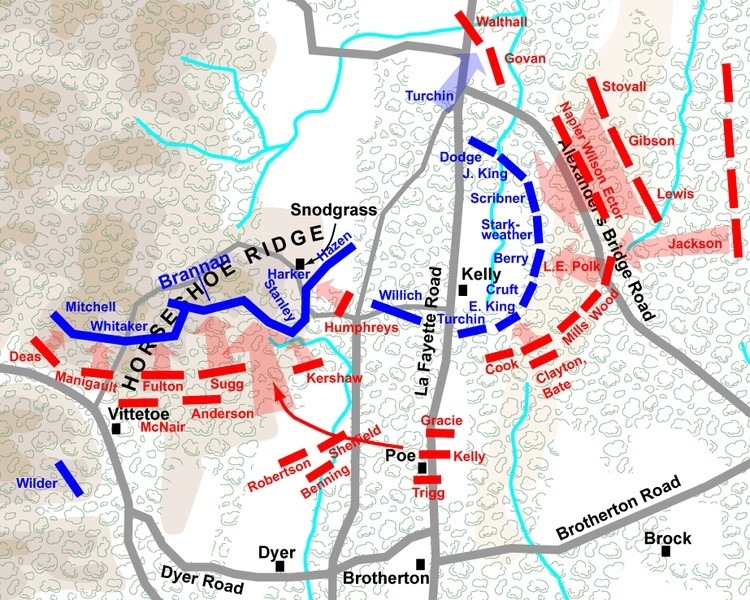 Defense of Horseshoe Ridge, Union retreat, and brigade details, on September 20, 1863.